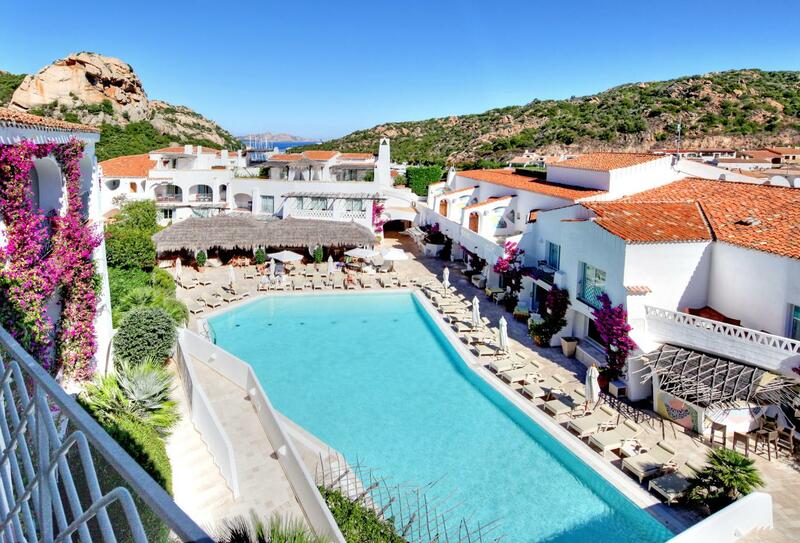 Designed to resemble a typical Sardinian village, Grand Hotel Poltu Quatu is nestled in a natural fjord around a mile away from Porto Cervo, on Sardinia’s Emerald Coast. 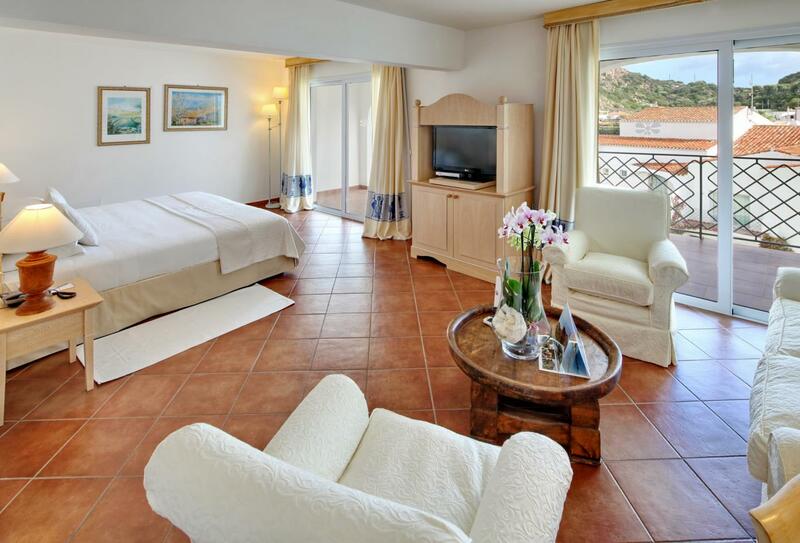 Sat at the foot of a pink granite mountain and fronted by a harbour, the hotel is surrounded by bougainvillea, wisteria, magnolia and olive trees. 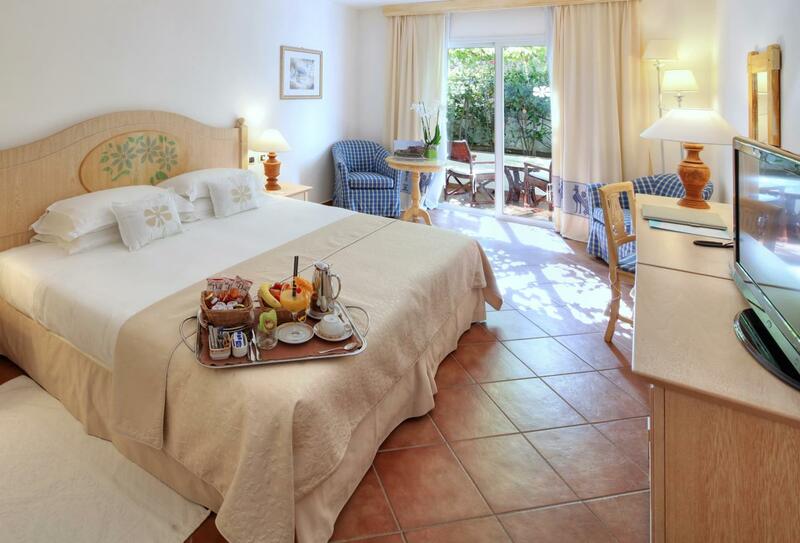 The hotel has a private beach and swimming pool, a beauty centre, football pitch and tennis courts. 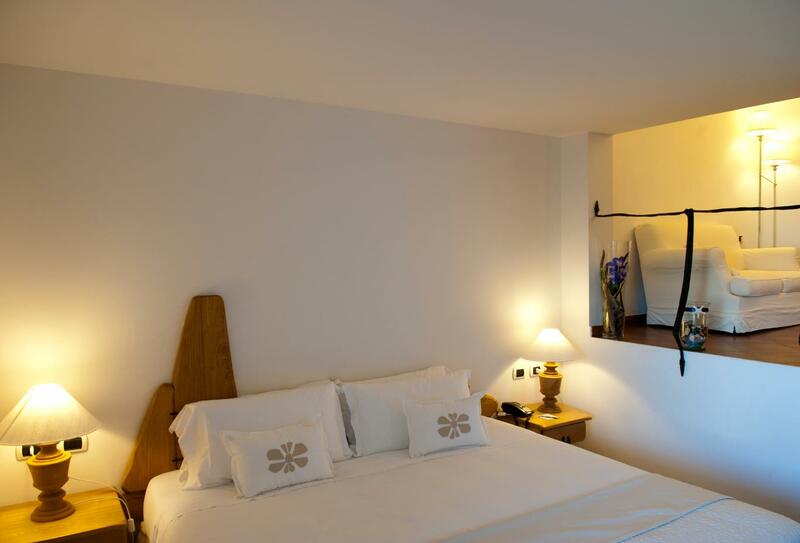 There are separate apartments or luxury guest rooms and suites, each with a private balcony. 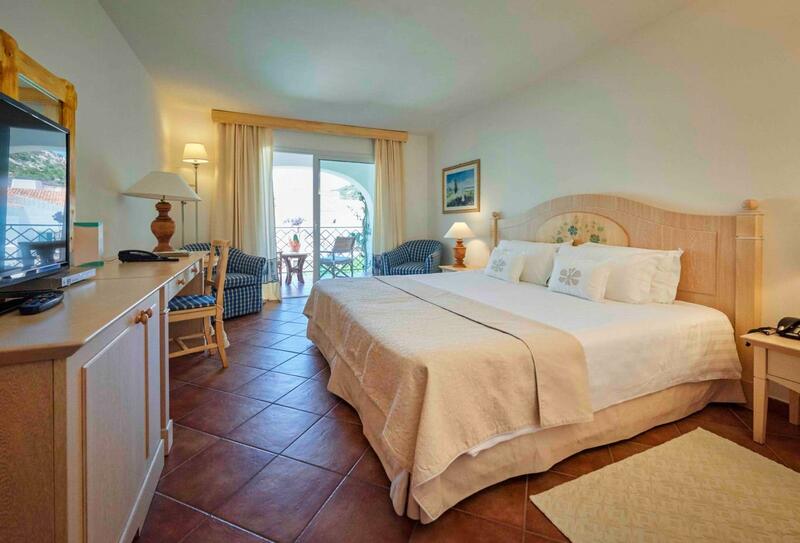 Dining options include fresh fish and grilled meat dishes and there is a bar located next to the swimming pool. 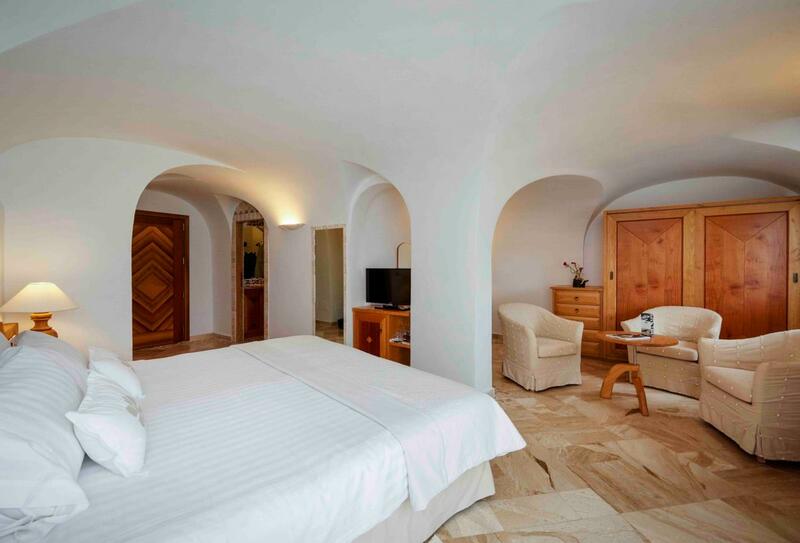 Appointed with terracotta-tiled floors, these guest rooms offer views of the mountain from a private balcony. 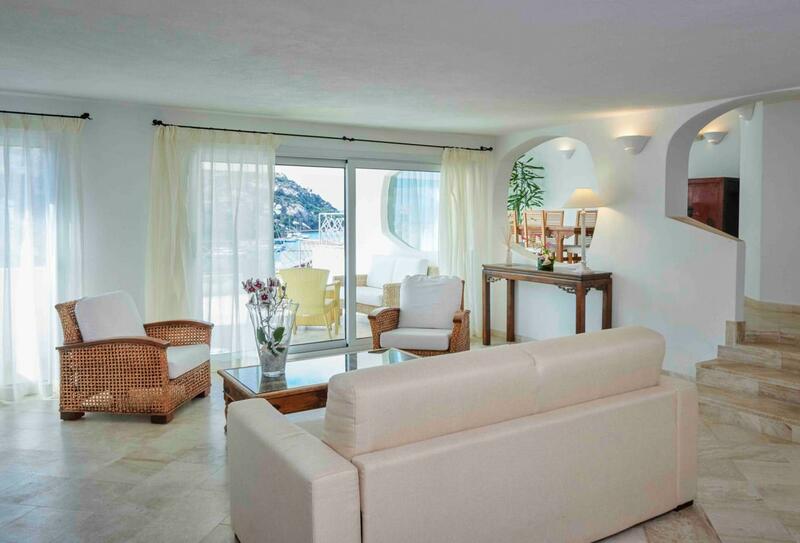 The living room of this suite opens out to a private terrace overlooking views of the Marina dell’Orso. 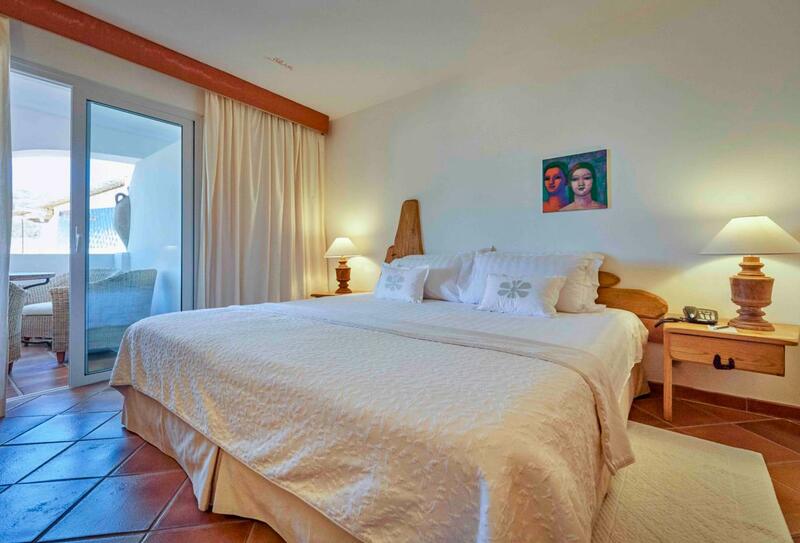 The living room of this suite is furnished with a sofa bed and opens out to a private balcony overlooking the waterfall on the swimming pool. 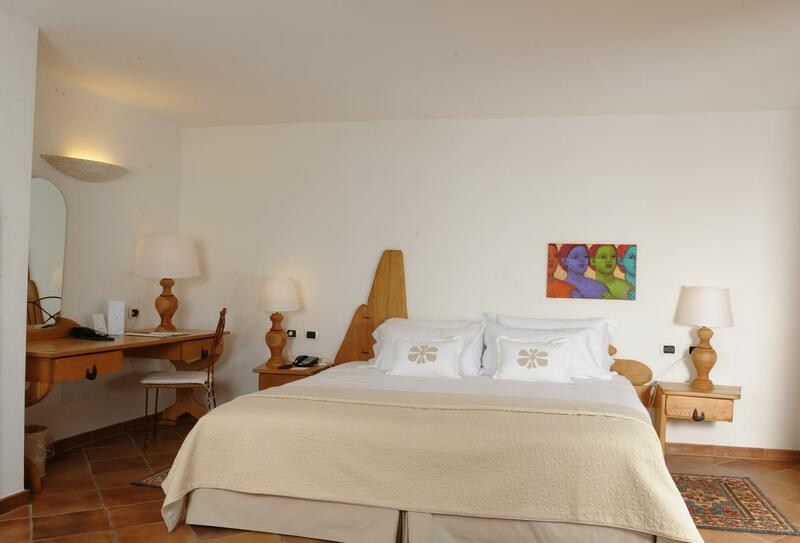 This apartment features a bedroom, living room, kitchenette and terrace with views of the surrounding green hills. Apartments still include use of all the hotel facilities. 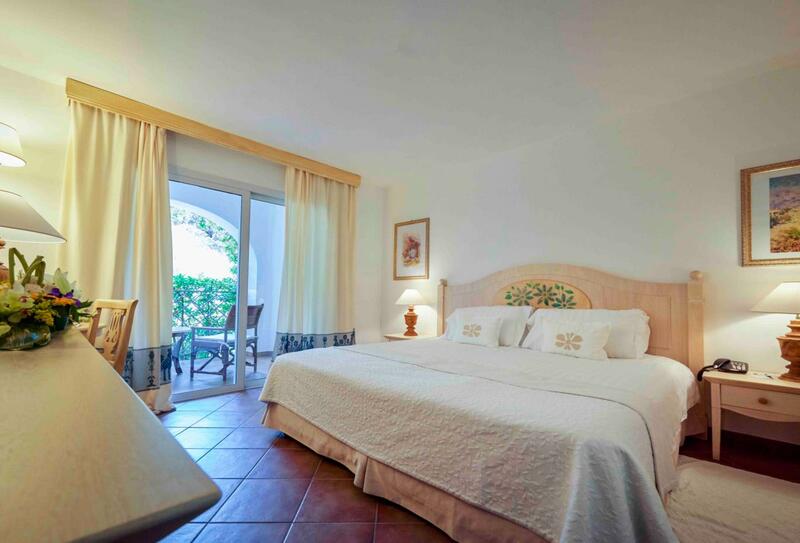 Situated in the centre of the hotel, this guest room offers views of the swimming pool and gardens from a private balcony. 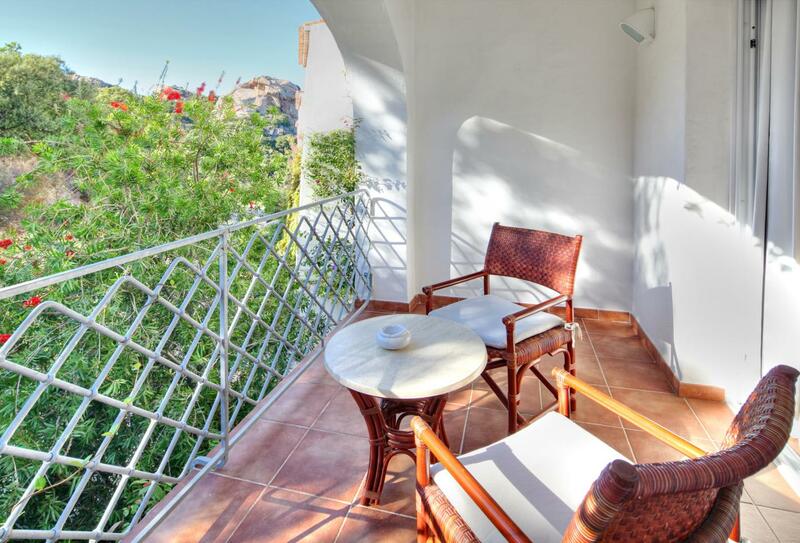 Each apartment has a separate entrance, a lounge with kitchenette and a private terrace with sea views. 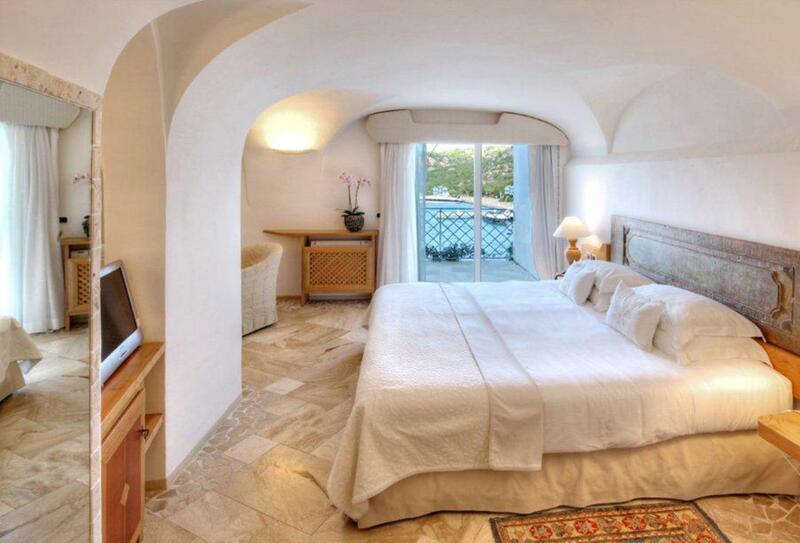 These guest rooms open out to a private balcony overlooking the natural fiord of Marina dell’Orso. 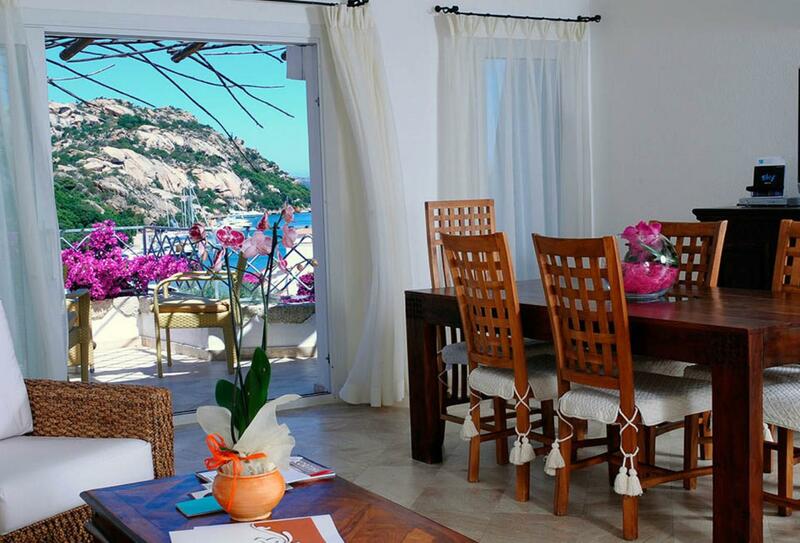 This restaurant overlooks the hotel swimming pool and offers a selection of grilled meat and fish. Lunch is served between 13:00 to 14:30. 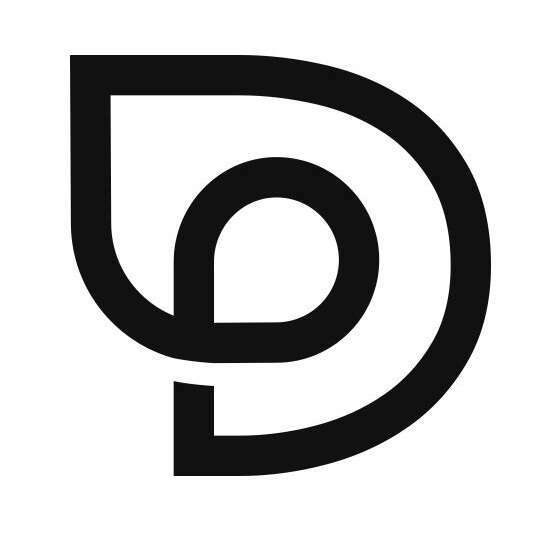 This restaurant serves contemporary cuisine focusing on healthy fish dishes and is open for dinner from 19:30 to 22:00. 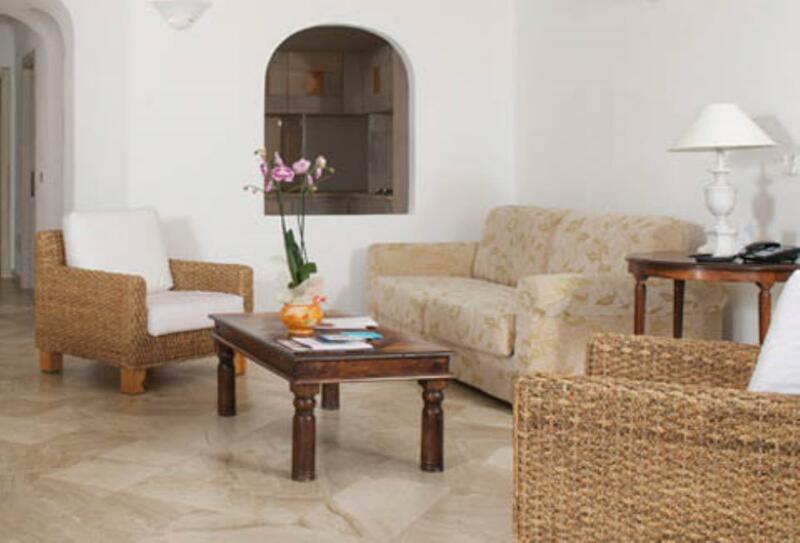 This is located next to the Gusto Grill by the swimming pool and serves a choice of drinks and snacks. Open from 10:00 to 22:00. Tanit serves Mediterranean cuisine including fish-based dishes as well as a meat menu. Open for dinner from 19:30 to 23:30. 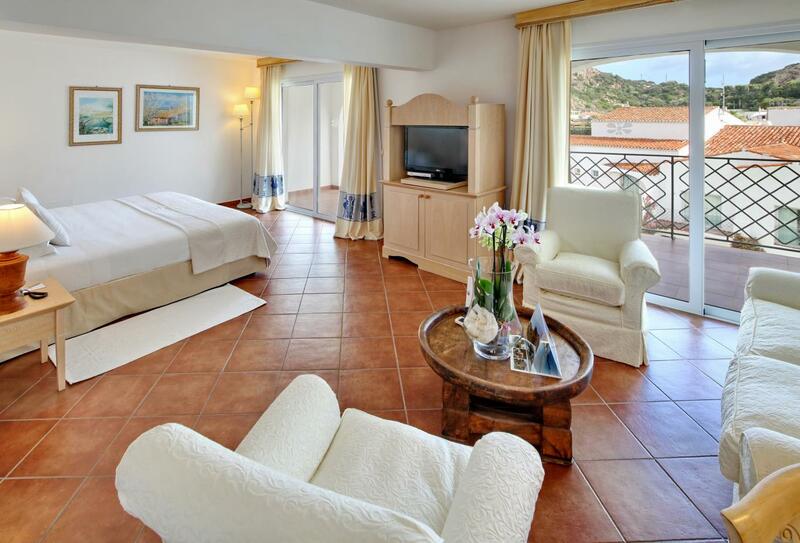 Grand Hotel Poltu Quatu is located within a natural fjord, around a mile away from Porto Cervo on Sardinia’s Emerald Coast. 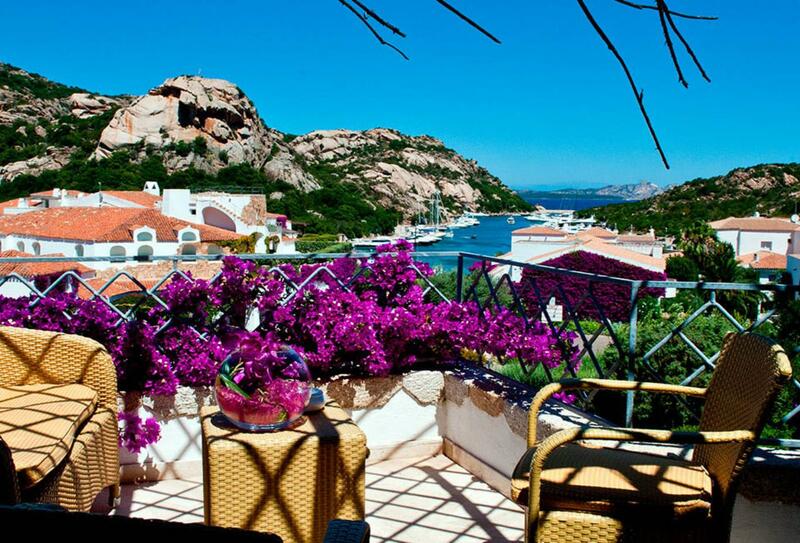 Olbia-Costa Smeralda Airport is situated 16.4 miles away.